Glass beads were first used as trading commodities centuries ago in intra-African trade. They are an integral part of the Zulu culture. Gone Rural – Safari Curios uses traditional skills to produce exquisite contemporary Zulu beadwork, including bracelets, earrings, necklaces and mugs. We pride ourselves on the quality of our work, that and its uniqueness and the particular colour combinations we use. 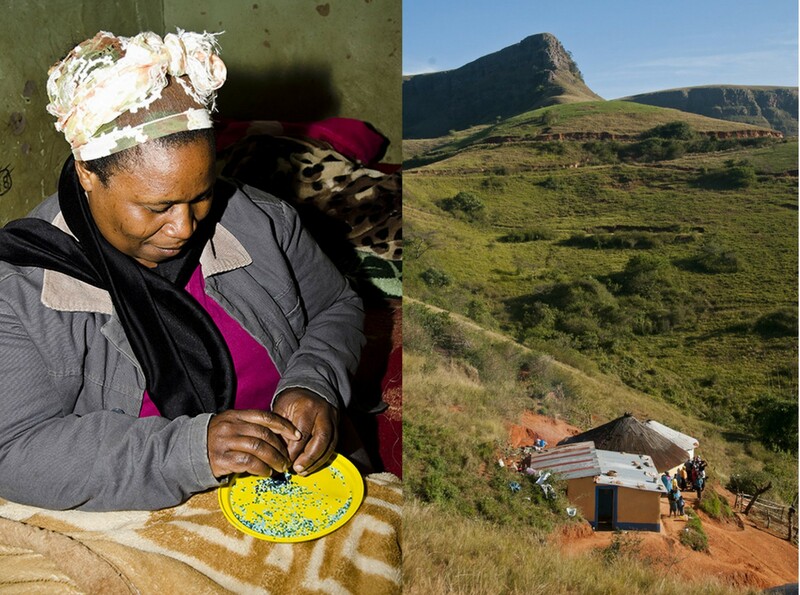 We have over 80 women making bead and telephone wire crafts in rural areas of KwaZulu-Natal, South Africa. Most are the primary breadwinners in their families. Typically, the women support ten people. Gone Rural – Safari Curios aim is to continue helping, developing and empowering women in rural areas, who otherwise would have no means of earning a living other than from social grants.